This heartfelt piece of work is hoped to inspire the reader to continue his or her life’s journey with a renewed sense of divine perspective and revelation of the many graven questions asked in life. Life is full of foes, challenges and let downs, but it is also filled with lots of love, hope and overwhelming joy. The way one walks out his or her life story can be the processional into something far greater than anything imaginable. 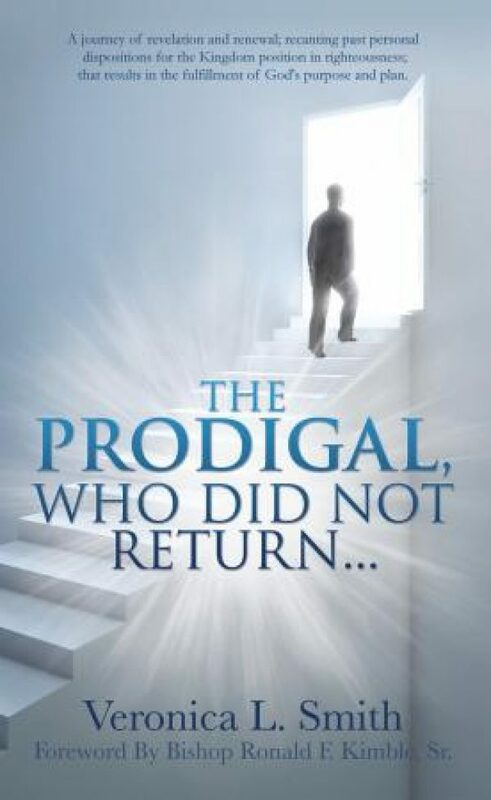 The Prodigal Who Did Not Return… parallels the life of the prodigal son coupled with personal experiences and testimony of the author Veronica L. Smith as she shares the journey set before her, her life, her anointed place, her story. 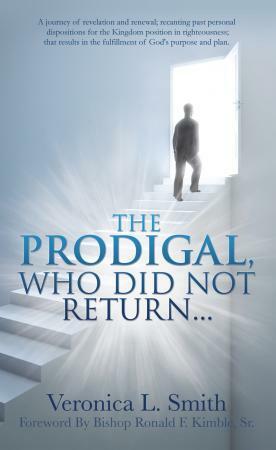 It is in the place of revelation and renewal that she came to understand that the prodigal who had indeed left the father, is also The Prodigal, Who Did Not Return…be empowered to live renewed, full of revelation that will give you a new perspective for your life; and how it takes you to a Kingdom position of righteousness and fulfillment of God’s plan and purpose. Veronica L. Smith is an Evangelist, author, teacher, and mother and is noted as an influential advocate in the community on issues affecting the family. Her leadership and service is publicly recognized and has been featured in the Gospel Now Magazine. One of her greatest fulfillments is assisting leadership in the implementation of church vision and ministry development within her local church family. Veronica L. Smith is the Founder of Virtuous Precepts for Prosperous Living, an organization which offers families spiritual guidance through proven precepts, principles, practical skills and solutions.